Why Buy an E 300 from Us? Mercedes-Benz of Arrowhead has been serving the West Valley since 2008. We know what our customers expect from a luxury car dealership, and we are prepared to provide you with an unforgettable shopping experience that will keep you coming back for years to come. Our dedicated sales team will help you find and finance the vehicle of your dreams, and factory-certified technicians will take the best possible care of your Mercedes-Benz long after you drive it off the lot. 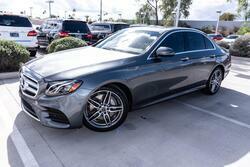 Enjoy a luxury car shopping experience like no other at Mercedes-Benz of Arrowhead. Give us a call or stop by today—we look forward to serving you! How does the E 300 Compare? To highlight where the E 300 stands in its segment, we conducted some model comparison research with two of the model’s top competitors—the INFINITI Q70L 3.7 LUXE and the Lexus GS 300. The comparison chart below explores key areas like performance, efficiency, and starting price. View the chart below to see how the E 300 compares, or select the links in the respective boxes for the full comparisons between the E 300 and each model. What does the E 300 have to Offer? The Mercedes-Benz E-Class Sedan offers the two E 300 configurations—the E 300 and the E 300 4MATIC®. 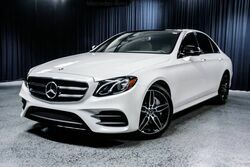 The E 300 configurations are the most affordable models of the E-Class lineup, but are still well-equipped to provide an upscale, first-class driving experience. 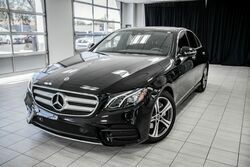 The E 300 models offer either all-wheel or rear-wheel drive and are available with various package upgrades and accessories.